Thanks ever so much for "The Miracle." It was a gem, as I knew it would be. Exquisitely designed, staged and performed. You are, as Lori Teague (Director of Dance at Emory University) and I agreed, a kind of genius and I am happy that we were able to feature your work in the Celtic Christmas Concert. Thank you so very, very much for all you did to make CPSI (Creative Problem Solving Institute) a success. Thank you for displaying your beautiful masks, the fabulous performance and for working with the youth. It was such a pleasure to meet you and experience your vision! Sandra is one of ROOTS most talented and dedicated working artists within our membership. Her work is powerful and aesthetically beautiful. She thinks critically about herself and the role she plays in society. The event will also include a related literary exhibit created by the Special Collections staff of the Atlanta-Fulton Central library and a large scale art installation — The Phoenix , Atlanta & Ireland — by Gateway artists Michael Hickey and Sandra Hughes. The installation was originally commissioned for exhibit by the 2016 Art on the Atlanta Beltline. The installation is available for purchase. Contact: sandra@masktheatre.org for details. The event is free and seating is general. Reservations are not required, but it’s very helpful to know who plans to attend. Special Thanks to the Atlanta-Fulton Central Public Library /Special Collections (Staff Members: John Wright, Danny Metha), the Consulate General of Ireland in Atlanta (Consul General Shane Stephens, Staff Members: Carol Jordan, Sondra Reed), Georgia State University, Music Department (Bram Creighton). 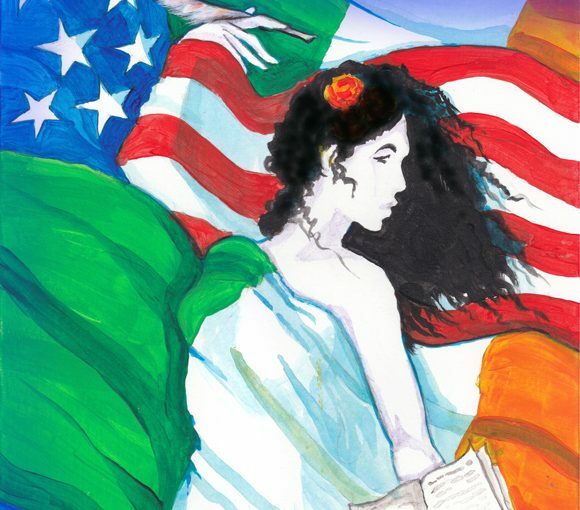 This project is supported in part by the Consulate General of Ireland in Atlanta, the City of Atlanta Mayor’s Office of Culture Affairs and the Fulton County Commissioners under the guidance of Fulton County Arts and Culture.